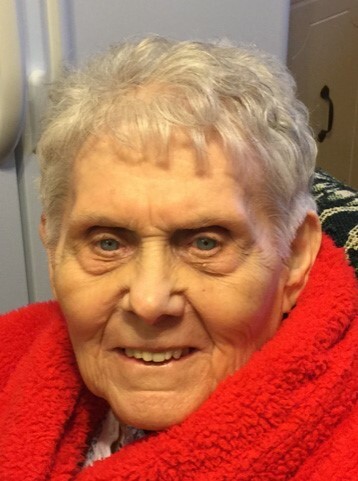 Ruth M. “Rosie” Tausch, 94, of North Little Rock, was called home by the Lord on Saturday, April 13, 2019, because He had a vacancy for a special angel that only she could fill. She was born March 6, 1925, in Jonesboro, Arkansas, to the late Louis E. and Corabell Gott. She was preceded in death by her husband of 51 years, Lt. Col. William H. Tausch, Jr.; three brothers, Rufus, Roy and Ralph Gott; and her step-sister, Mary Reed. She is survived by five children, Dee Pridmore of Jacksonville, Arkansas, Donna Jackson (Tom) of Sherwood, Dianna Robinson (Ken) of Gainesville, Virginia, Chip Tausch (Jill) of Keo, Arkansas, and Louise Tausch of Texarkana, Texas; seven grandchildren; thirteen great-grandchildren; and two great-great-grandchildren. Ruth’s amazing life encompassed the Great Depression, World War II, the Korean War, Vietnam War, landing on the moon and 9/11, plus so much more. Ruth met the love of her life working at St. Bernard Hospital in Jonesboro and they began their married life in 1950. She was the wife of a career Army officer, moving all over the world 29 times in 27 years. She and her husband continued their travels even after they retired. Ruth was the quintessential Army wife and mother of five. She made the best of whatever life presented and kept going. She lived her faith and raised her children in the way that they should go. She epitomized the Proverbs 31 woman throughout her life. She was a member of Immaculate Conception Catholic Church in North Little Rock for 45 plus years. The family would like to extend a special thanks to Louise, Eddy Jean, Charlotte, Gelissa, and Payton for the love and care they showed to our mother and to the Arkansas Hospice staff. A Memorial service will be at 10:00 a.m., Friday, April 19, 2019, at the V.A. Chapel at Ft. Roots in North Little Rock presided over by Msgr. Lawrence Frederick. In lieu of flowers, please consider donations to St. Jude’s Children Research Hospital or Arkansas Children Hospital.